The Wilson Sleek (815225) comes with the amplifier and power supply. External antenna sold separately. 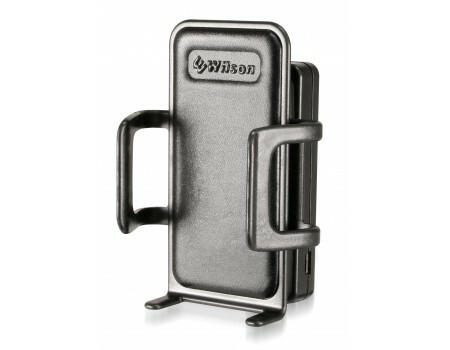 For a complete kit, see the Wilson Sleek (815226). The Wilson Sleek helps users reduce dropped calls, increase data rates in weak signal areas and originate calls from those dreaded "dead spots" by increasing a phone’s output power to the cell tower, keeping the user more reliably connected. 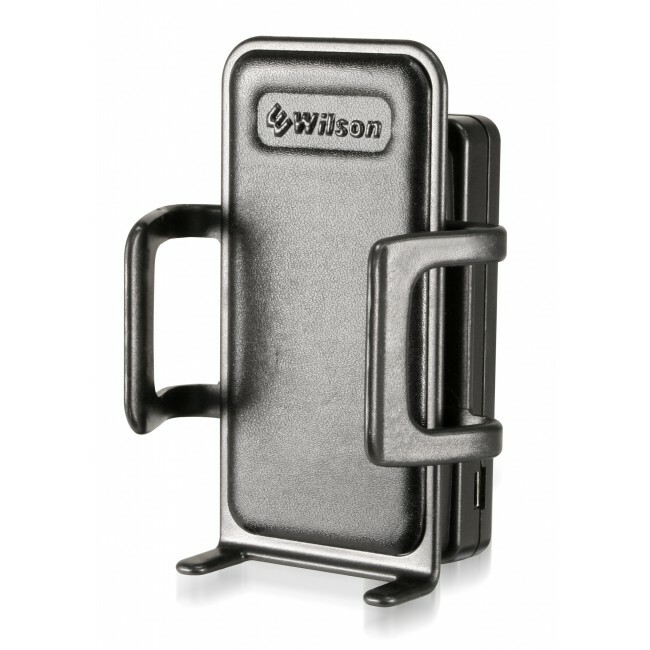 Built into the Sleek cradle is a Wilson bi-directional Signal Booster which amplifies signals to and from the cell tower and a battery charging port. The Sleek is ideal for hands free operation when used with a headset or Bluetooth device.